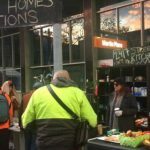 Victoria has commenced an initiative which gives free public transport to the homeless and other financially disadvantaged people in the state. The year-long trial is offering weekly and monthly passes to the indigent, with a view to making it easier for them to attend appointments and keeping them out of the legal system for fare evasion offences. The passes are available for distribution by organisations that provide emergency and other vital services to the disadvantaged. The Salvation Army, Launch Housing, the Australian Red Cross and the Asylum Seeker Resource Centre are among the 140 groups currently approved to distribute passes. They are required to buy weekly passes for $10.75 each and monthly ones for $38.85, then provide them for free to the needy – which has many calling upon the government to approve a quota of free rather than merely discounted passes. Passes are also being made available to help support students at risk of dropping out of school. The trial comes after a 2016 review found that the cost of public transport impacted unfairly on disadvantaged people, and that many who couldn’t afford to regularly use buses, trams and trains were evading fares to reach appointments and basic services. It found that the flow-on effect was that the cost of fines and associated administrative costs snowballed to such an extent that the poor had little hope of ever paying, contributing to their sense of despair, hopelessness and social exclusion. 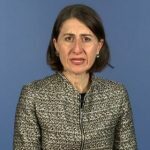 The review has led to a series of changes designed to make the public transport system fairer and more accessible. 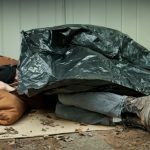 The initiative follows regressive moves by Melbourne Council last year towards banning ‘sleeping rough’ on the city’s streets. Under the proposed council bylaws, rough sleepers would have be fined $250 for camping on the street, leaving their belongings unattended or ignoring orders to move on. 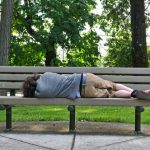 The council ultimately bowed in to public pressure and did a backflip, saying it would tighten restrictions on sleeping in public places but not issue blanket fines. 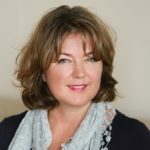 In 2016, the Australian Institute of Criminology released data which suggested that a disproportionate number of homeless people have criminal histories, although their offences are normally less-serious in nature and are a product of their situations. Indeed, homeless people are generally more susceptible to breaching public order offences like trespassing, public urination and fare-evasion due to their circumstances, which can adversely affect their prospects to turn their lives around. And many who are living rough can resort to property offences such as shoplifting to support themselves. Many end up homeless due to trauma and then turn to alcohol or drugs to cope. These people can be treated like criminals, and yet in many instances it is precisely the fact that they have been unnoticed and unsupported that they’re on the streets to begin with. Childhood abuse, domestic violence, family break-downs, financial hardship, and mental illness are common reasons why people end up on the streets. 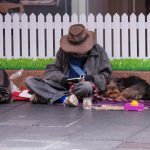 Figures released earlier this year in a landmark report called the Australian Homelessness Monitor suggest that Sydney’s homeless population is growing at an alarming rate, jumping 48 per cent in the five years to 2016. 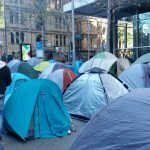 Last year, the NSW government passed legislation empowering police and council officers to move in and evict homeless people sleeping rough in a safe camp they had created in Martin Place, in the CBD. Without anywhere else to go, many moved on to Glebe’s Wentworth Park, where they were also evicted a few weeks later. While providing these vulnerable members of society with access to safe and stable accommodation is critical to address the issue, enabling easier access to social and health services by providing free public transport is a step in the right direction.